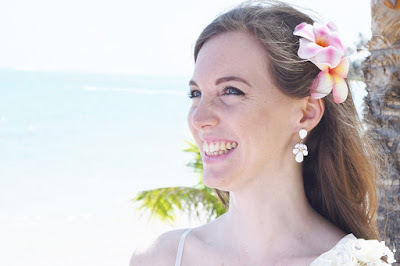 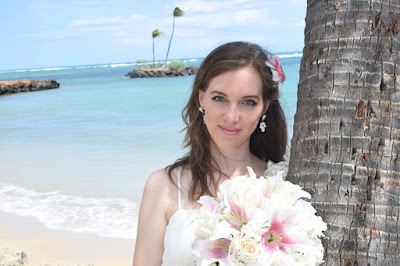 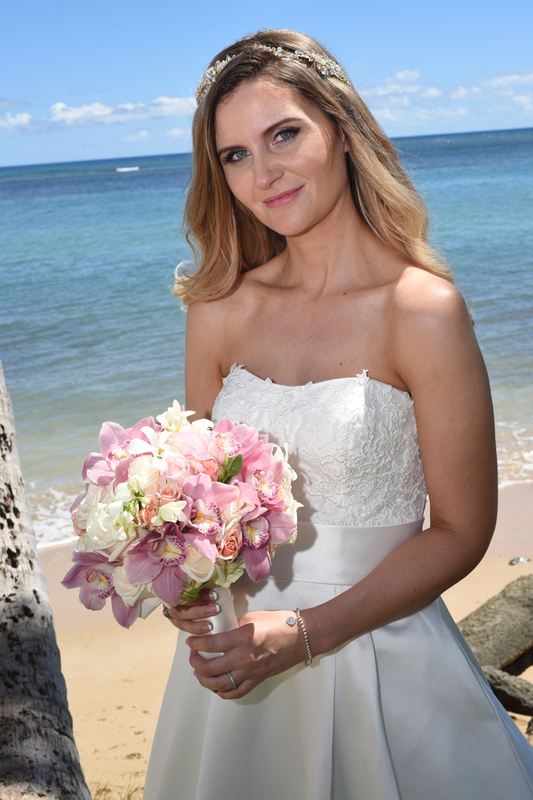 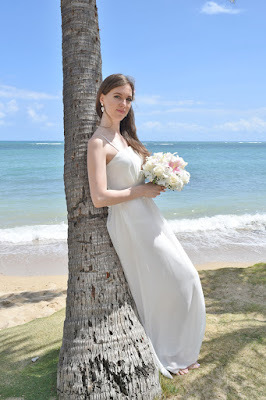 Australian Bride Sarah shows us her beautiful wedding gown at Kawaikui Beach in Aina Haina. Sometimes one page is not enough for a particularly photogenic Bride. So many photos are coming out amazing, we have to share a few more. 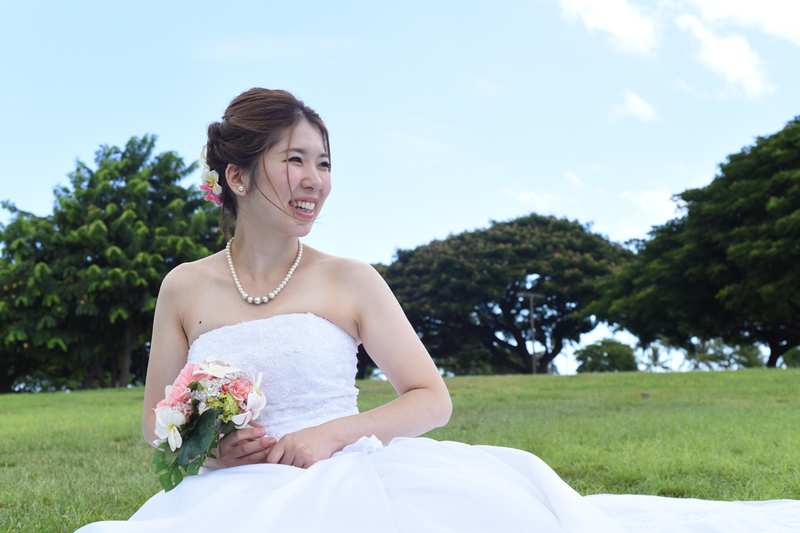 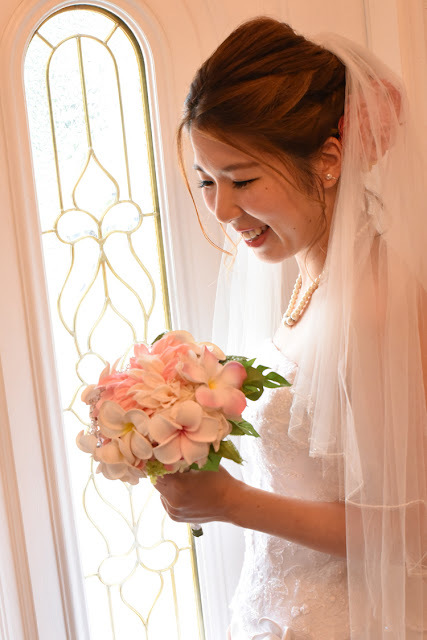 Bride relaxing on the lawn at Magic Island shows off Noriko's adorable personality. 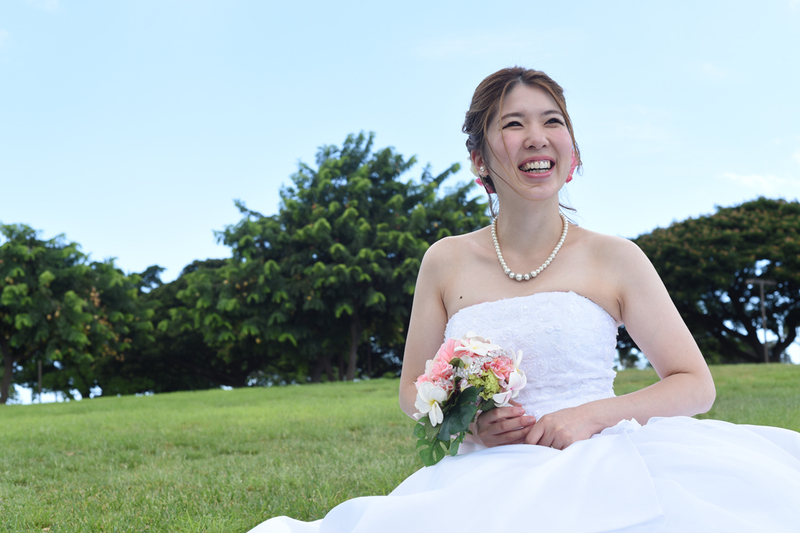 Cheerful and spunky Japanese Bride Erina poses for the camera at Magic Island. 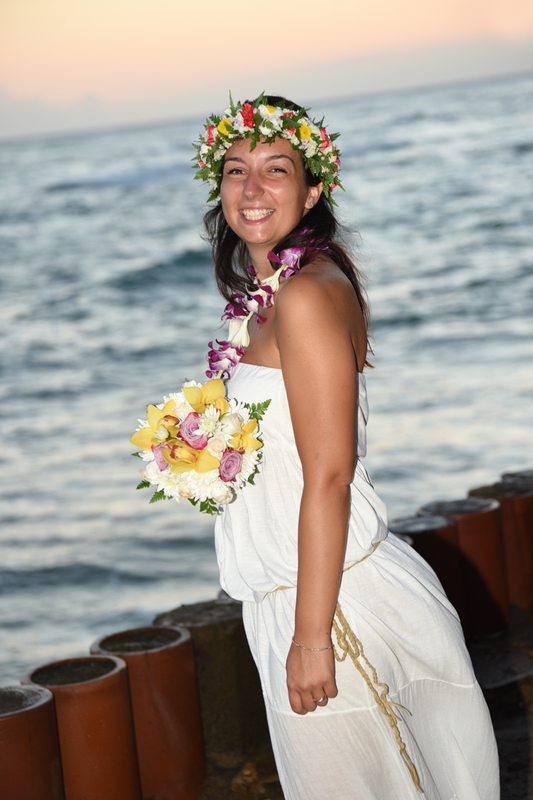 Happy Bride from Italy, Ilaria, enjoying a sunset vow renewal at Leahi Beach Park. 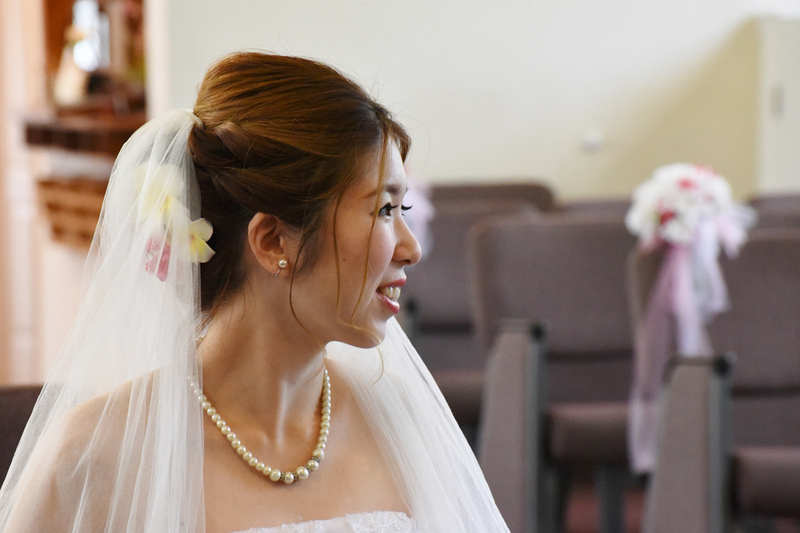 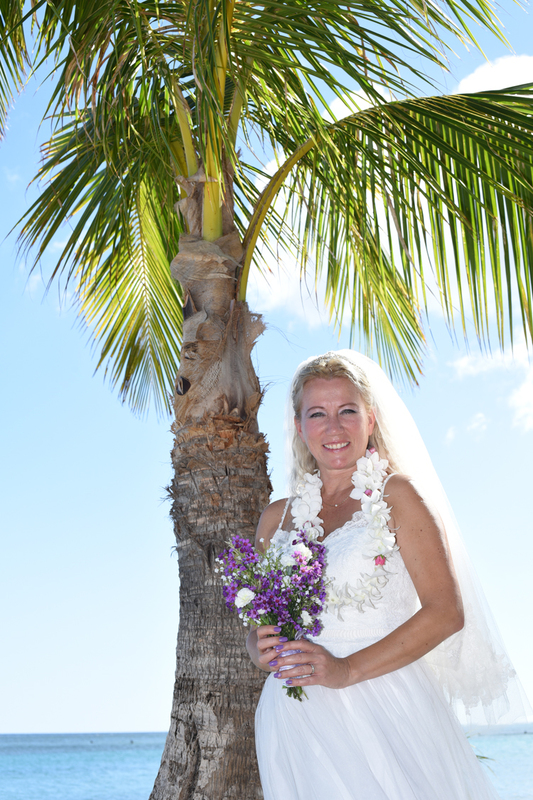 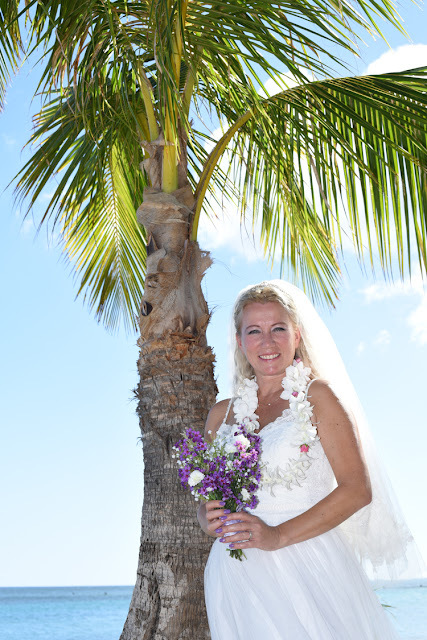 This Bride traveled to Honolulu all the way from Hungary. 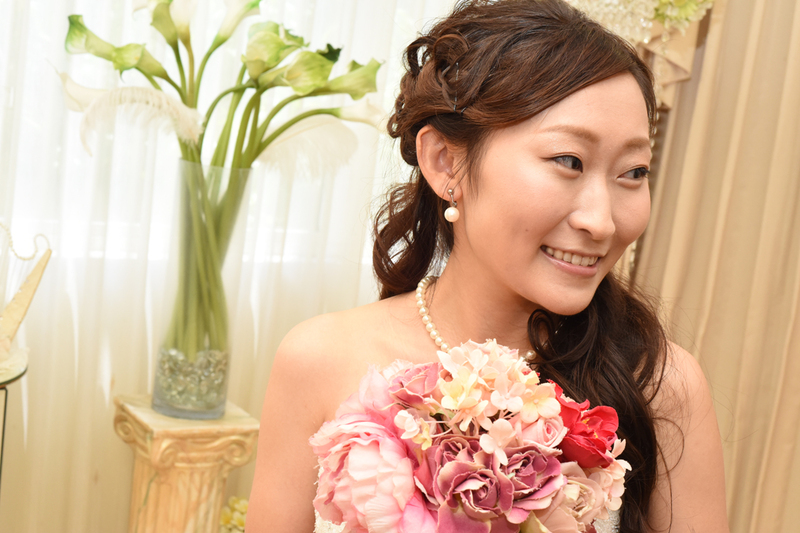 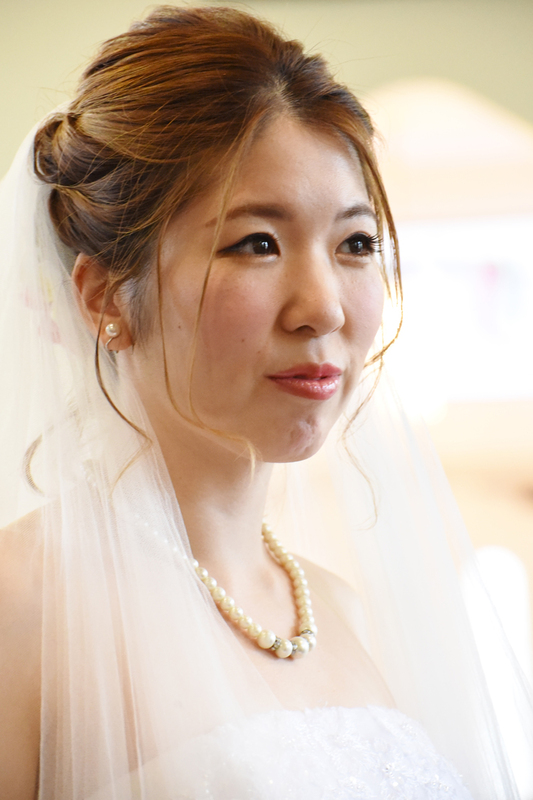 Fairy tale wedding photo for Japanese Bride Ayaka at Magic Island. 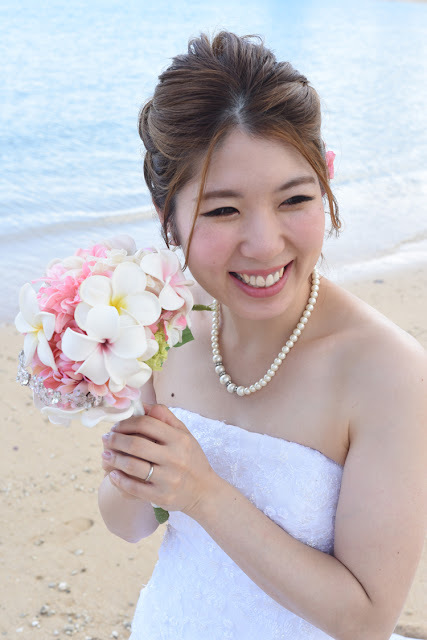 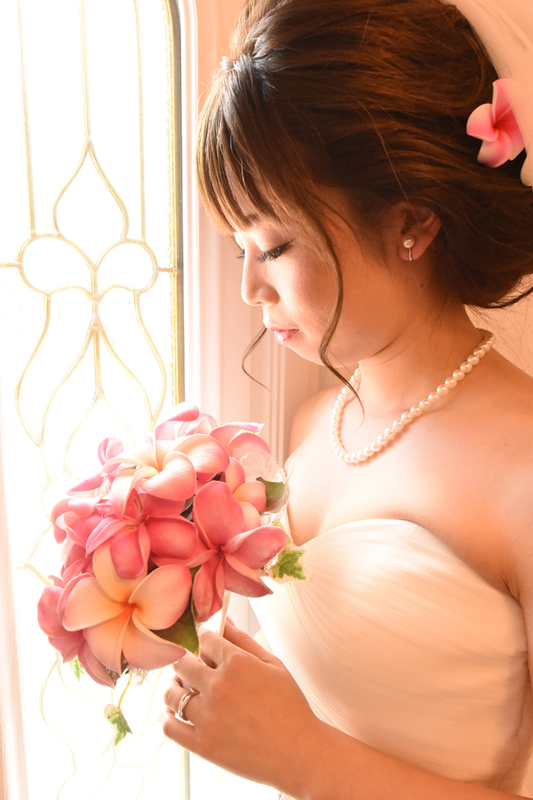 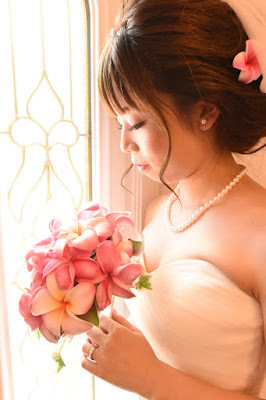 Lovely Japanese Bride Yumeno at Magic Island with Oahu Photographer Robert Hamilton.